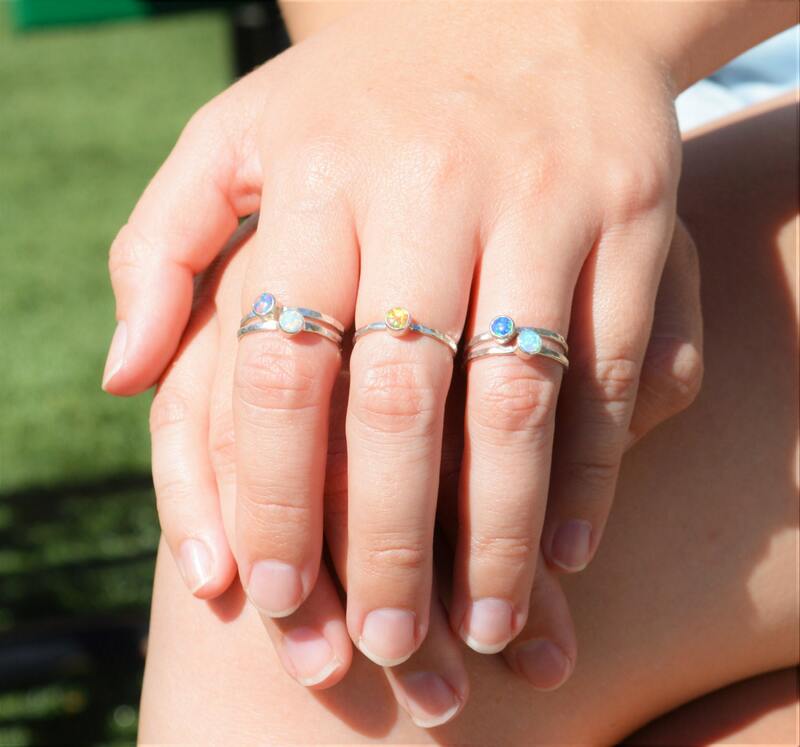 Get 5 Petite Silver Opal Rings at a hugely discounted price! 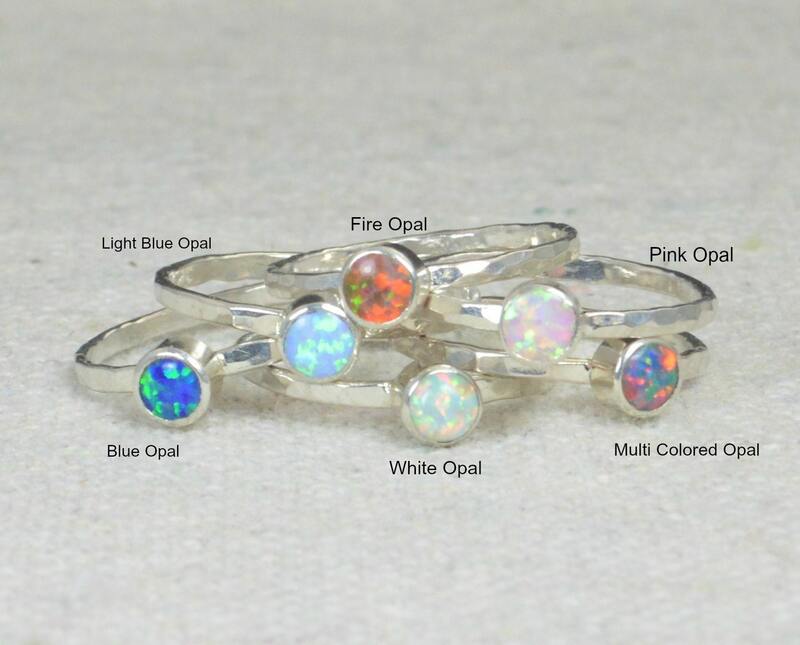 These opal rings have a pure silver band is set with a 4mm man-made opal. 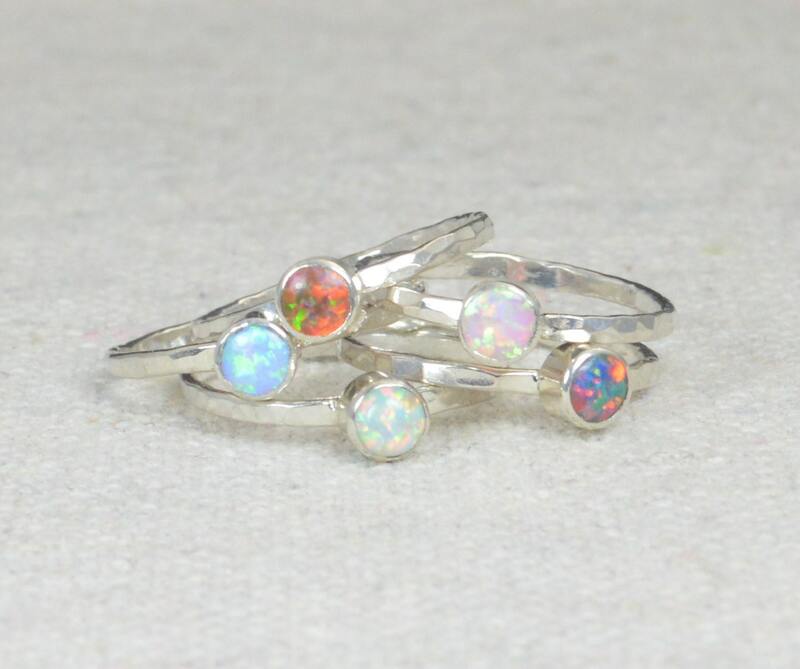 These opal rings are beautifully worn alone or worn together in clusters with my other stacking rings. 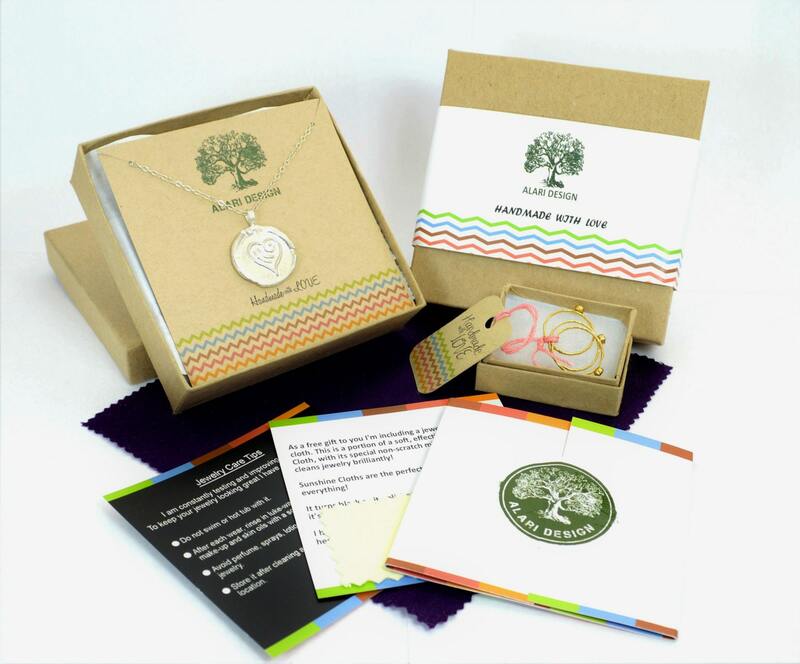 ** Request your three rings in the "note to seller box" during check out. Choose from: White Opal, Pink Opal, Lt. Blue Opal, Blue Opal, Fire Opal, or Multi Color Opal in any combination. If you want two of the same rings in different sizes indicate that in the sellers box as well. They make terrific Mother / Daughter rings, or BFF rings! These rings make a beautiful birthday or holiday gift! Opal is the birthstone for October, So this is a perfect gift for October Babies or Mothers with a child born is October. 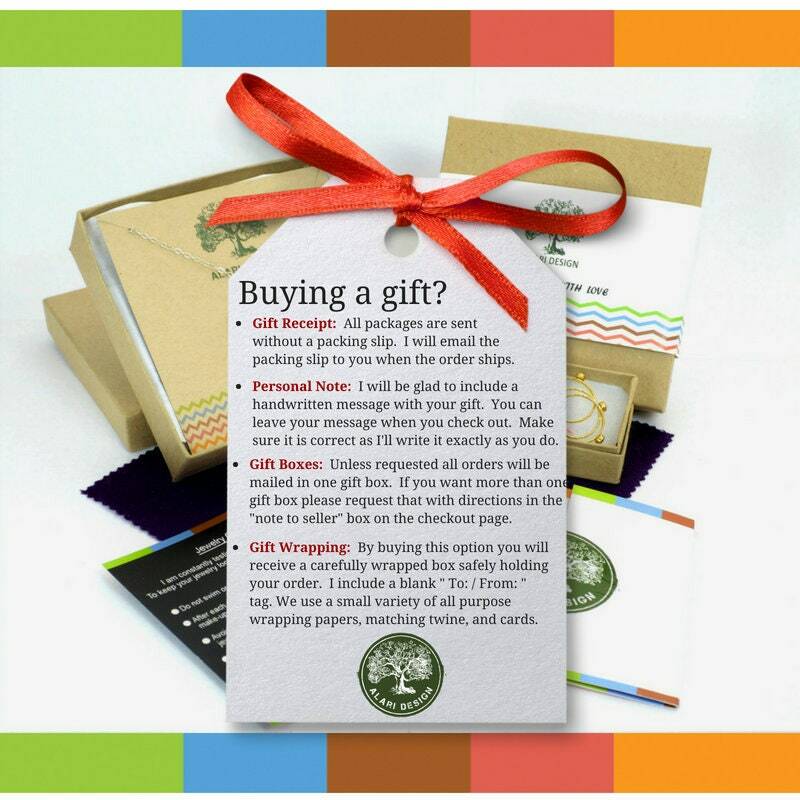 These would also make great bridal gifts. It is said that opal, with its display of fire, can spark creativity, and that the "dance" of its fire can help people enjoy their lives. The light-colored stones have long been associated with helping people become less visible to others and also in improving eyesight. The gemstone has been associated with the sacral chakra, imbalances of which can cause problems with addictions. Some believe that opal can help moderate and harmonize sexual desires.